Create a unique door plaque using a favourite photo. Create a door plaque using a favourite photo. 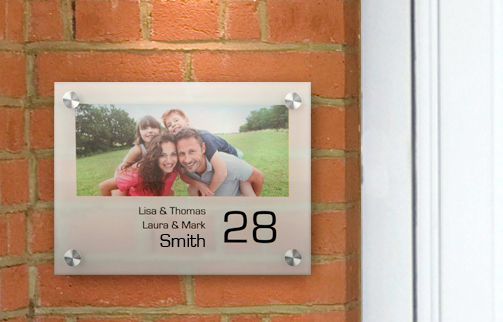 Design your very own door plate and welcome your guests by adding your favourite photo. Be creative with our design template to add your personal photo, house number and message to greet your guests before they ring the bell! 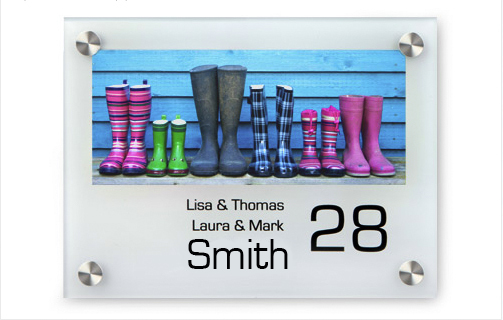 This nameplate is 15cm x 20cm and made of the best 5mm thick acrylic glass. UV-resistance is guaranteed for several years and the door plate is moisture resistant and therefore suitable for outdoor use.